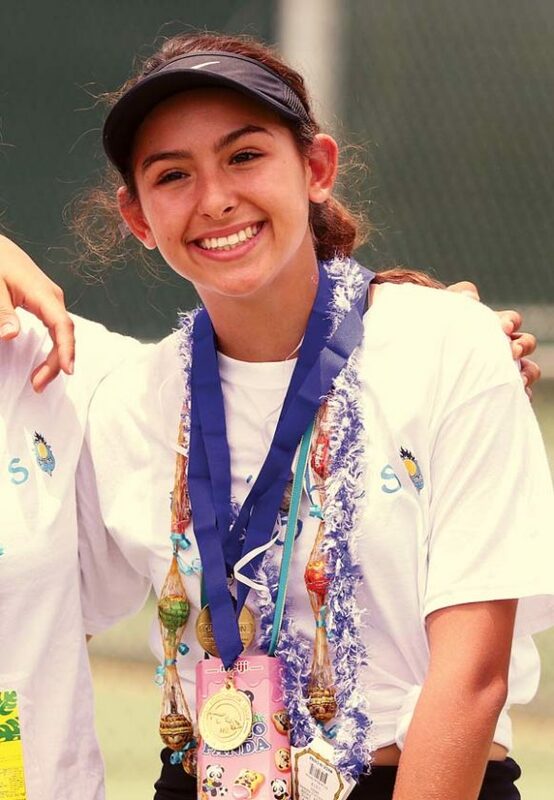 LAHAINA — There wasn’t much more that Maui High School’s Jessalyn Lopez could do in her sophomore year of Maui Interscholastic League tennis. Last week, she led her girls team to its first-ever title. On Saturday, she won her second straight singles championship at the Lahaina Civic Center courts. “This year I felt more confident,” said Lopez, who attends Kihei Charter. “Last year, I was going in there thinking I was going to lose so I felt kind of pressured a little bit, but it’s been fun. Lopez cruised to a 6-2, 6-0 win over teammate Hana Yoshikawa. The No. 1-seeded Lopez was undefeated during the regular season and only dropped three games total in the tournament. Hobbes Wilstead, another Kihei student playing for the Sabers, won 6-0, 6-2 over classmate Devon Baldwin for the boys singles title. It was Wilstead’s first MIL crown. The top-seeded sophomore finished runner-up in last year’s tournament and suspected he would face off against Baldwin for a shot at capturing his first singles title. While the top seeds in singles took care of business, both No. 2 boys and girls doubles teams served upsets. Seabury Hall’s Zachary Walker and Miles Stone won 6-0, 6-2 over top-seeded Kyle Killett and Shane Ramos of Lahainaluna to claim the boys doubles title. It was Walker’s second straight MIL gold in doubles and Stone’s first. Kamehameha Maui’s Kayleen Lau and Kaelyn Kato rolled to a 6-1, 6-2 win over No. 1 seed Kiyo Christopher and Lino Yoshikawa of Maui High. The two Warriors screamed and embraced after putting away the final point. The victory was Kato’s first MIL title and the second for Lau, who won the singles crown in 2016. Kato felt especially proud of her first MIL gold after following in the footsteps of her older sister, Kylee, a four-time MIL champion and 2016 state champion doubles player. The MIL champions and other qualifiers will now gear up for the HMSA State Championships, May 3-5 at Central Oahu Regional Park. Championship–Jessalyn Lopez (1), Maui High, def. Hana Yoshikawa (2), Maui High, 6-2, 6-0. Third-place match–Chiemi Powell, Seabury Hall, def. Kaui Kennedy (4), Baldwin, 4-6, 6-4, 6-2. Consolation round robin–x-Shea Sera, King Kekaulike, def. Chloe Jones, Maui High, 8-1; x-Keona Conroy-Humphrey (3), Lanai, def. Shea Sera, King Kekaulike, 8-6. 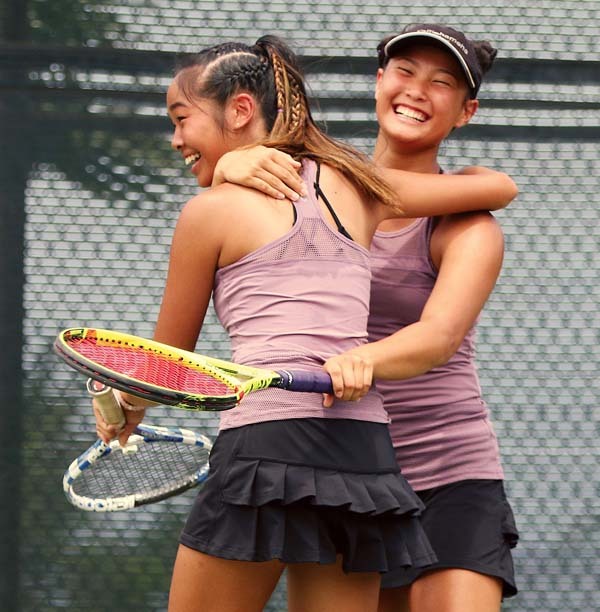 Championship–Kayleen Lau and Kaelyn Kato (2), Kamehameha Maui, def. Kiyo Christopher and Lino Yoshikawa (1), Maui High, 6-1, 6-2. Third-place match–Christiane Keyhani and Zoe Bailey (4), King Kekaulike, def. Cassandra Ragonton and Romelyn Ragonton, Molokai, 6-4, 5-7, 6-1. Consolation round robin–x-Jessica Griffiths and Olivia Hoekstra, Seabury Hall, def. Kiana Bell and Challys Pascual, Lahainaluna, 8-2; x-Kiana Bell and Challys Pascual (3), Lahainaluna, def. Selena Feike and Kailani Kennedy, Baldwin, 8-6. 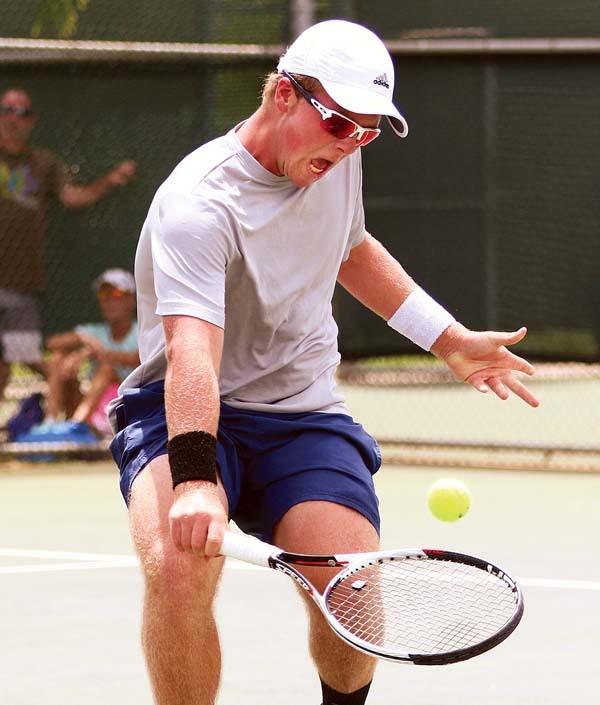 Championship–Hobbes Wilstead (1), Maui High, def. Devon Baldwin (2), Maui High, 6-0, 6-2. Third-place match–Silvan Engert (3), Seabury Hall, def. Quinn Shapiro (4), Maui High, 6-1, 6-1. Consolation round robin–x-Tyson Wu, St. Anthony, def. Sterling Sandler, Seabury Hall, 8-0; x-James Kim, Seabury Hall, def. Quinton Uradomo, King Kekaulike, 8-3. Championship–Zachary Walker and Miles Stone (2), Seabury Hall, def. Kyle Killett and Shane Ramos (1), Lahainaluna, 6-0, 6-2. Third-place match–Josef Shum and Aden Kinoshita (3), Baldwin, def. Shawn Abut and Everett Prieto (4), Lahainaluna, 6-0, 6-1. Consolation round robin–x-Kekailoa Cajudoy and James Fujii, Lahainaluna, def. Maikai Kaufman and Makani Smith-Kemfort, Kamehameha Maui, 8-7(2); x-Jonathan Saito and Cody Sears, Baldwin, def. 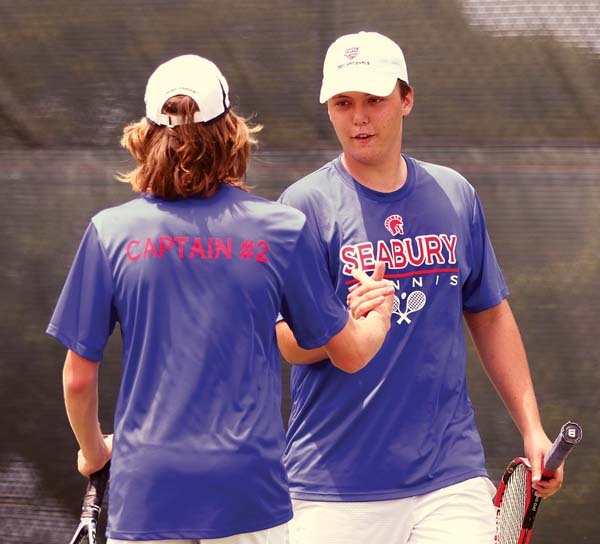 JD Pells and Jacob Keyser, Seabury Hall, 8-0.